1/2 Gram Silica Gel Packet (Tyvek) is used to absorb moisture and prevent Mold, Mildew, Corrosion, and Fogging. Each Silica Gel Packet weighs 1/2 Gram and measures 1 3/8" in length by 5/8" in width. 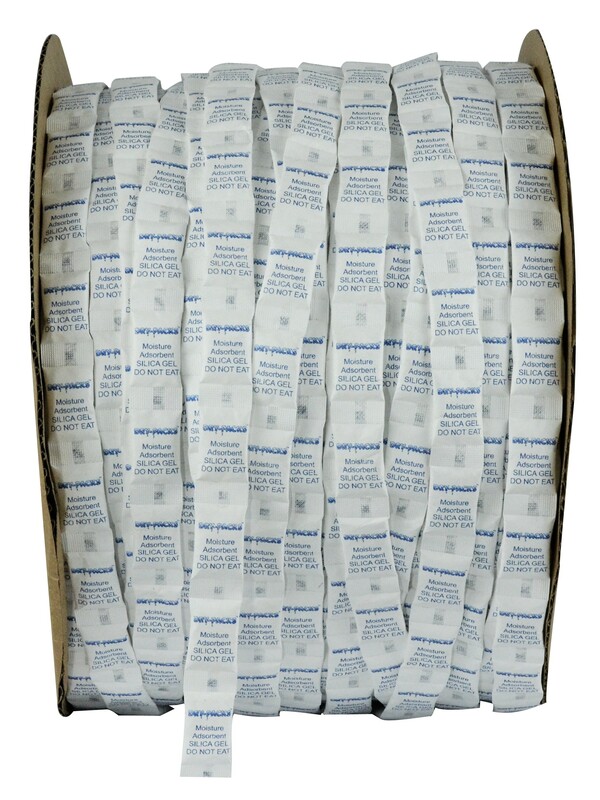 Each roll of Silica Gel measures 13" in diameter and 12" in width and contains 12,000 uncut continuous strips of Silica Gel Packets. They come packaged in air tight & sealed moisture barrier bag.